The applications (Web-based or mobile) that are most useful to consumers are those that are just a little bit smarter than the competition. One of the ways to create more "intelligent" systems, so to speak, is to use resources such as auto-completion and auto-suggestion libraries which provide text (and in some cases visual) "prompts" as users' type into a search field. The use of autocompletion/suggestion libraries isn't new and it's not really a game changer by any means. It can however be quite the useful feature for consumers and there are many libraries from which designers and developers can choose. Keep in mind that there is already a standard Autocomplete library from jQuery for developers focused on the user interface that should be considered, and popular options including YUI as well as one of my personal favorites in complete.ly. New libraries emerge every day however and it pays to know what your options are. Take a look at a few other libraries that are sure to "auto-complete" the digital experience for your users. At.js: Offers a strong list of features including support for HTML5 contentEditable elements, can listen to any character and set up multiple lsiteners for different characters with different behavior and data. At.js also offers keyboard controls and custom data handlers. FB Friend Autocomplete: A jQuery plugin that adds a Facebook-like suggestion box under inputs with the logged-in users Facebook friends. 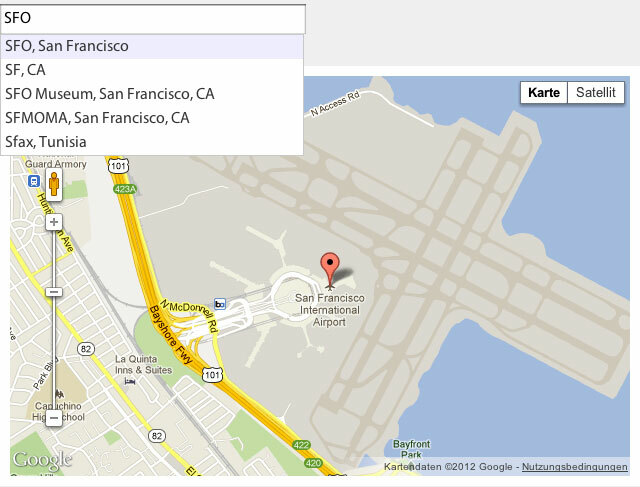 Geocomplete: Not the traditional text auto-complete library, Geocomplete is a jQuery plugin that wraps the Google Maps API's Geocoding and Places Autocomplete services. See screenshot below. Do your application provide auto-completion or auto-suggestion capabilities? If so, let Website Magazine readers which libraries you choose and why you think it's better than the rest!